Recent release “I Am Stump” from Page Publishing author John Donegan is both enlightening and inspiring; this work aims to address issues one may face in life and the positive ways to react. 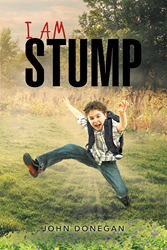 John Donegan, a retiree, father, grandfather, devoted writer and author, has completed his newest work “I Am Stump”: an entertaining and honest work that delves into the ideas of fear, bullying, injustice, race and courage. “I truly hope that you enjoy and benefit from this book. My hope is also that the next series of books will reach you soon. I’m already enjoying the second one as much as the first one, and maybe even more! The second edition will excite you and, in the end, make you smile as it has me. As a conclusion I would like to say this in very simple words . . . see you later,” said author John Donegan. Published by New York City-based Page Publishing, John Donegan’s passionately crafted work portrays the beauty of life and self-worth. This story certainly contains many life experiences. From the very beginning we see the happiness that comes with the birth of Stump. We then experience the love that Rubbertree and Buttercup share in making Stump’s clothes and toys. We try hard to figure out their first day of school concerns, which to them are real. The problem of bullying in school and how it can affect an individual is certainly real and we are glad that Stump is able to not only help himself, but also his friends. This book also relates the joys Stump, his family, and friends had, not in just one place, but throughout the whole story. Readers who wish to experience this inspiring work can purchase “I Am Stump” at bookstores everywhere, or online at the Apple iTunes store, Amazon, Google Play or Barnes and Noble.